Life is full of mysteries. Like who finished the milk, and ate all the chocolate out of the trail mix. Also, who is behind that mask? We can only assume it is one handsome man. The man behind the mask at the masquerade party is far more important than questioning who ate all the chips and dip. 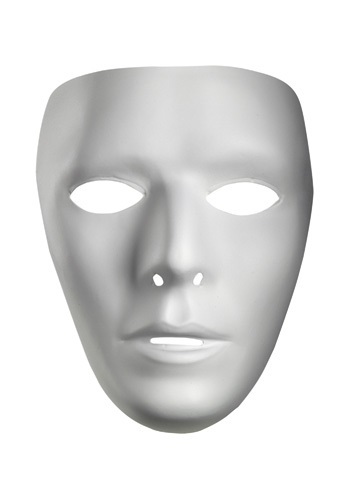 If you are going to Halloween party and want a fool proof jabbawockeez mask for your un-dead costume the Blank Male Mask is for you. The accessory is molded to fit male facial features on the front. It has holes for the eyes, nose, and mouth. The mask is put on with an elastic strap, and will stay in place as you dance at the masquerade ball.